“Beckham, into Sheringham, and Solskjaer has won it!” Clive Tyldesley’s indelible commentary rang out across the continent. David Beckham’s 93rd-minute corner was flicked on by the head of Teddy Sheringham, met by the outstretched boot of Ole Gunnar Solskjaer, and flicked instinctively into the roof of the Bayern Munich net beyond a hapless Oliver Kahn. The famously boyish face of the 26-year-old Norwegian succeeded where mere words would have failed as it communicated utter shock and elation in its purest visual form. Solskjaer had scored the goal that would complete his team’s stoppage-time comeback – the comeback against which all later comebacks would be measured and ultimately deemed unworthy – in the process carving his team’s name into the Champions League trophy, surpassing the third and final trial required to secure a historic treble; the likes of which English football would never see again. At the time of his goal, Solskjaer had been on the pitch for little over 10 minutes yet that was all he needed to provide for his club one of the most important goals in their history. 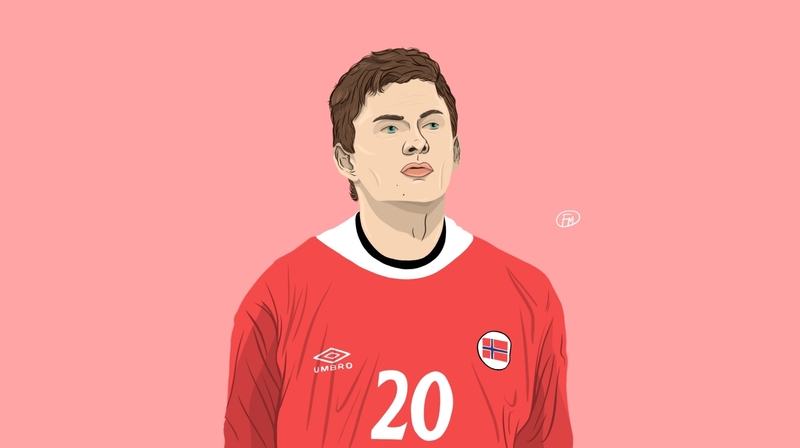 Truth be told, he rarely needed more than a few minutes to have a telling impact on a game’s result, such was the knack of Ole Gunnar Solskjaer: the archetypal super-sub, the “Baby-Faced Assassin”, Norway’s greatest goalscorer. Having found his way to Manchester somewhat unexpectedly in 1996, courtesy of six goal-laden seasons playing in his native Norway, Solskjaer wasted no time firing his way into the hearts of the Old Trafford faithful. His opening goal, scored just six minutes into his Premier League debut – as a substitute, no less – earned his side a vital draw away to Blackburn and acted as the perfect precursor to the Manchester United career that would soon play out before him. He’d follow his inaugural strike with another 18 before the curtain fell on his first season in England. So adept was the Norwegian at playing the role of the poacher, despite competing for playing time with the likes of Cantona, Cole, Yorke, Sheringham and Van Nistelrooy during his United days, Solskjaer always earned the right to take to the pitch and there were few who could rival his efficiency on it. This was perhaps never more evident than in the February of his side’s treble-winning year when Solskjaer was sent on by his manager to help see out a victory, as United cruised 4-1 up away to Nottingham Forest, with 20 minutes left on the referee’s watch. “We don’t need any more goals,” Manchester United’s assistant manager Jim Ryan told Solskjaer as he made his way toward the touchline, “just keep the ball, pass it, keep it nice and simple.” But Solskjaer never was very good at settling when it came to scorelines. 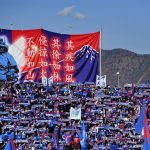 By the time he made his way back off the pitch, following the game’s final whistle, he had rattled in four goals of his own, all scored in the space of 12 minutes and with a combined distance that would barely take him out of the penalty area. Remarkably, despite appearing over 350 times for United during their most golden era, and stamping his name across the scoresheet more than 120 times, Solskjaer never truly became Sir Alex Ferguson’s first choice striker. 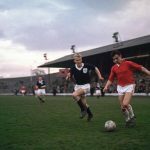 Yet this seemed only to add to his allure, widening his appeal to fans and further embellishing his cult status, as supporters watched on week after week, game after game, as with an almost uncanny inevitability the most familiar of scenarios would replay like a cherished scene in a movie. Solskjaer would be called from the bench to enter the fray fleetingly, score his customary vital goal, before departing once more, never once begrudging his restrained role. Having left for foreign shores long before ever threatening to rival Norway’s most domestically revered, orchestrating an admirable though hardly breathtaking international career that rests with 23 goals in 67 appearances for his country, and having masterminded back-to-back Norwegian league titles with his unfancied boyhood club Molde only after having returned to the game as a manager, it could be said that Solskjaer fell short of scaling the greatest heights on home soil.